Disruptive technologies have already driven the automobility experience way beyond cup-holders, heated seats, and electric windows; but where is the sector heading next? At Star, we work with some of the most innovative companies in the industry to bring user-centered experiences to the vehicles of the future. Here are the five key trends we see influencing automobility in the next ten years with examples of how they could improve our daily lives in practice. What we’re interested in depends on who we are, what we’re doing, and what’s happening around us. In the future, vehicles will have access to this information. The challenge for brands will be to provide tailor-made experiences that adapt to individual needs. Fully addressing this complexity will require machines to understand the nuances of human interaction: emotions, biometric data, personality, tone, desire, and motivation. Highlighting the day’s events, the vehicle provides an overview of key information, including a personal news summary. It even suggests taking sunglasses to today’s beach picnic. 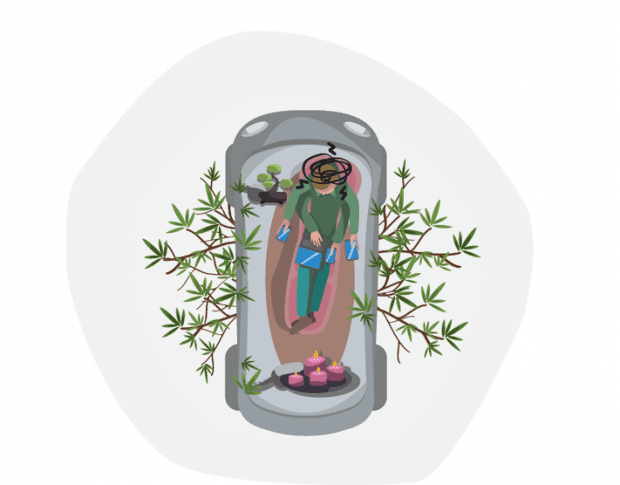 Sensitive to mood and biometric data, and aware of the user’s busy schedule, the vehicle suggests that now would be a good time to rest. The interior adjusts to optimize sleeping conditions. On the lookout for a new car? With mixed reality glasses to display content during a test drive and a responsive interior, the user can get a real feel for what’s possible. People expect to be able to access their information from different places and devices. The car is no exception. 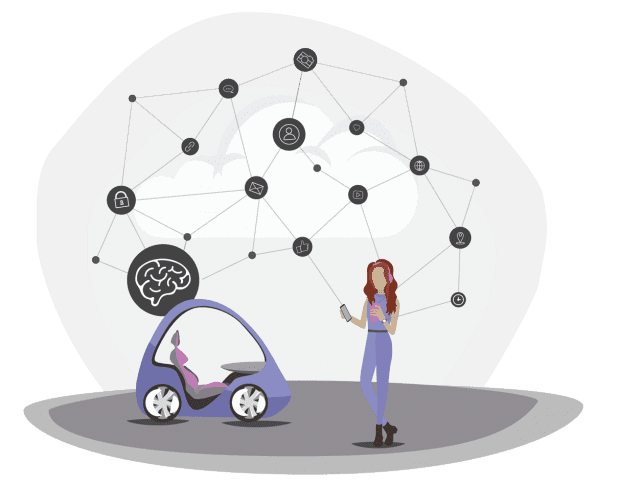 The vehicles of the future will be highly connected – integrating external hardware and software to provide experiences that align mobility with every other aspect of a user’s life. Breaking down silos, the onboard AI will seamlessly bring the pieces together into one joined-up experience. With onboard AI and custom settings available to download to any vehicle, your personal experience continues when you arrive at a new place. Your favorite music, lifestyle preferences, and interests are all known. 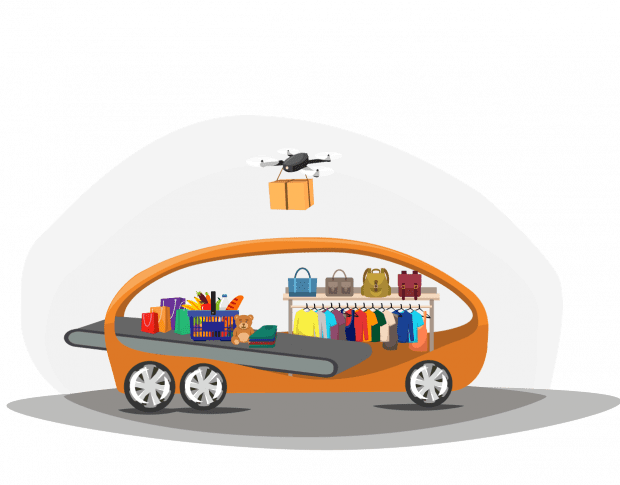 Payment is transferred automatically simply by placing items from the supermarket into the vehicle. The transaction is made securely and with the user’s preferred payment method. Digital experiences transition seamlessly from one location to the next. Moving from the home to the vehicle, kids’ cartoons, for example, are ready to pick up from where they left off. Going beyond what humans are capable of, the vehicles of the future will provide the ultimate peace of mind by protecting users’ personal interests and safety. 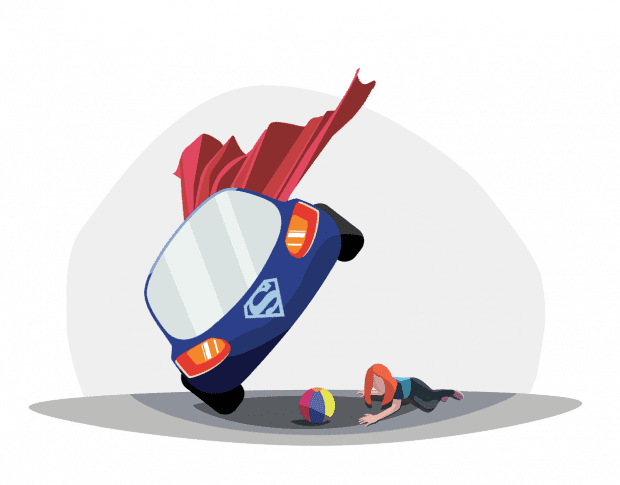 Once inside a vehicle equipped with onboard AI and realtime sensors, users will be completely taken care of. Just like a real chauffeur, vehicles will be attentive to wider holistic concerns – from arriving at work on time whilst dropping the kids off at school en route, to ensuring secure payments. Congestion is avoided as the onboard AI teams up with other vehicles and roadside sensors to optimize the flow of traffic. When not in use, the vehicle drives itself to a renewable energy charging lot. By planning ahead and considering the user’s schedule, it ensures it is fully charged when needed. Even in manual mode, the onboard AI reads the road ahead to anticipate potential impacts. The user is alerted to any danger, and the vehicle is enabled to take control for maximum safety. 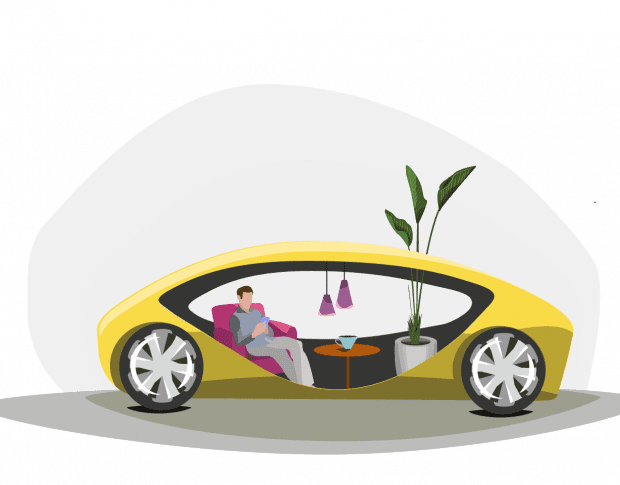 As vehicles become autonomous, their interiors will transform into living spaces allowing day-to-day activities to spill into new mobile surroundings. With new-found potential to re-imagine the in-car experience, brands will begin to focus on how best to utilize these small living spaces. As with all real estate, the aim will be to make them highly efficient, multi-functional, and, above all, adaptive and personal. A vehicle can act as a convenient and private meeting place – for a remote doctor’s appointment, for example. The connected health-tracking sensors send biometric data on ahead ready for the consultation. Making good use of in-vehicle time, a virtual coach schedules a custom workout plan that optimizes each journey’s duration and the limited space available to provide a great workout. When not in use, vehicles can be made available for purposes such as parcel deliveries, local taxi services, and even overnight stays. With subscription models on the rise, people are no longer simply buying products. Consumers expect experiences that will keep on giving and do so as long as required. Living in an on-demand economy, users are accustomed to a multitude of choices and solutions, all of which can be delivered instantly. To compete in this market, brands will need to provide a holistic experience – addressing the maximum interaction points during the user’s journey to meet a wide spectrum of needs. Just leave that dry-cleaning in the trunk. While the user is otherwise occupied, their vehicle will notify the dry cleaners and deliver the laundry for them. A meal is ordered for a set time and is delivered within the vehicle. On receipt, payment is transferred automatically, and the restaurant receives feedback directly from the user. On sunny days, it’s easy to leave the vehicle en route and jump on an on-demand bike included in the long lease subscription. No need to worry about personal items, the car will deliver them.